After the first heady excitement of the positive pregnancy test fades away, you start to realize that tough times lie ahead. Labour is frantically read about, painstakingly researched. If only to-be-moms realized that childbirth is a miniscule part of what needs researching before having a baby! If I could go back in time and give myself any advice, it would be this: spend some of that time reading up on breastfeeding tips instead. I was lucky enough to go to a hospital which provided a lactation consultant, as well as a 24-hour rotation of nurses who stayed with me every single time I fed my baby for the first three days of her life. They helped me position the baby and cheered me on during those initial awkward days when I butterfingeredly tiptoed around my precious newborn. Most importantly, through all the times that I struggled to get used to positioning the baby for nursing, they were there to encourage me. They told me I was doing great, that it was normal for it to occasionally hurt, that everyone needed company in the first few days. Thank god they were there. Left in a room with a slippery newborn & my own imagination, I’d have been convinced I was already failing at motherhood because this ‘natural’ thing wasn’t nearly as instinctive as it’s touted to be. 1. Pick a breastfeeding partner at the same time that you pick a delivery partner. The BF partner would be someone who has done their research, and is free to make you their top priority for the first couple of weeks. They will help you, unconditionally support you, and be the voice of reason if you’re feeling too tired or overwhelmed to cope with things. 2. Research IBCLC certified lactation consultants in your city just in case you need additional support. Remember – gynaecologists are experts up to the time of delivery, and paediatricians are experts with the baby itself, but lactation consultants are best qualified to answer your breastfeeding related questions. Several LC’s do Skype consultations if you’re unable to meet them in person. 3. Do your research beforehand, because it’ll be too overwhelming if you try after giving birth. Kellymom.com is an excellent resource, for instance. 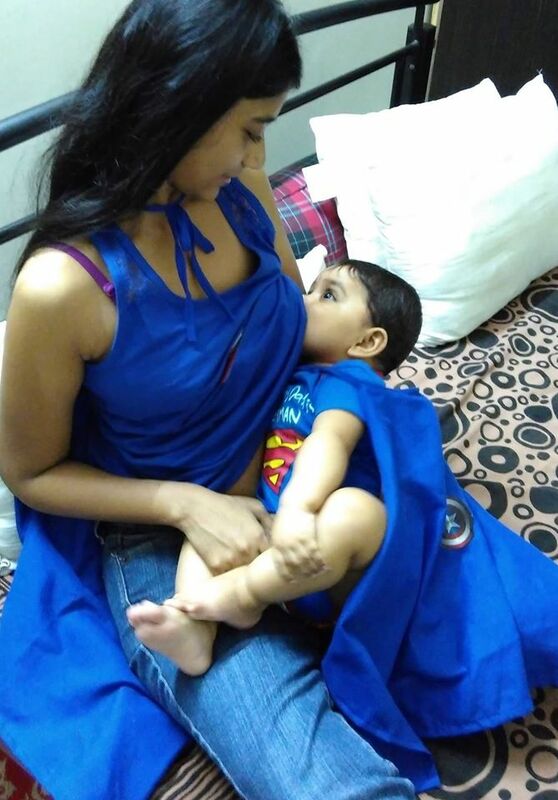 My favourite go-to is a Facebook group called Breastfeeding Support for Indian Mothers. Among other useful facts, you’ll find guidelines for how to tell if your baby’s getting enough breastmilk, and what normal nappy output is. 4. Your BF partner can help with this: tune out all the well-meaning advice and suggestions from everyone. Trust in your research and your body, and only ask your doubts to the people who are qualified to answer them. This way, you won’t get conflicting opinions and unfounded advice. 5. Have breastfeeding friendly clothing available. You’ll need loose clothes that open easily, at least for the initial few days. Also be prepared to buy a bra that’s in a different size to your pre-pregnancy wardrobe, if necessary. Nursing pads are also great to have before your supply regulates itself. 6. There’s absolutely nothing wrong with feeding your infant formula. However, it would be a shame to do so without knowing for sure that it was required; by which I mean, having a certified lactation consultant say so. Often, breastfeeding challenges happen because of improper support, rather than anything else. 7. Remember, your baby only needs 1/2 teaspoon of milk on the first day, and less than 60ml even at the end of the first week. With more than ten feeding sessions each day, this gives you more than enough time to gain confidence and understand how to best work with your baby to breastfeed. Moms who’ve already had a baby will be able to ascertain that once you get the hang of it, breastfeeding can be the easiest way to comfort, bond with, and feed your baby – anytime, anywhere. Ninja feeding moms, please comment: what advice would you give yourself if you were just starting out?